This summer I’ve been testing and using some vintage manual focus and manual aperture lenses. They make some good lenses now, for sure, but they also used to make good ones in the past. Also, one modern lens I have now is a modern lens, with modern coatings and all, but it’s from Voigtlander’s “Vintage Series.” It’s extremely sharp and brilliant over most of the frame at least, but there’s just something special about it. 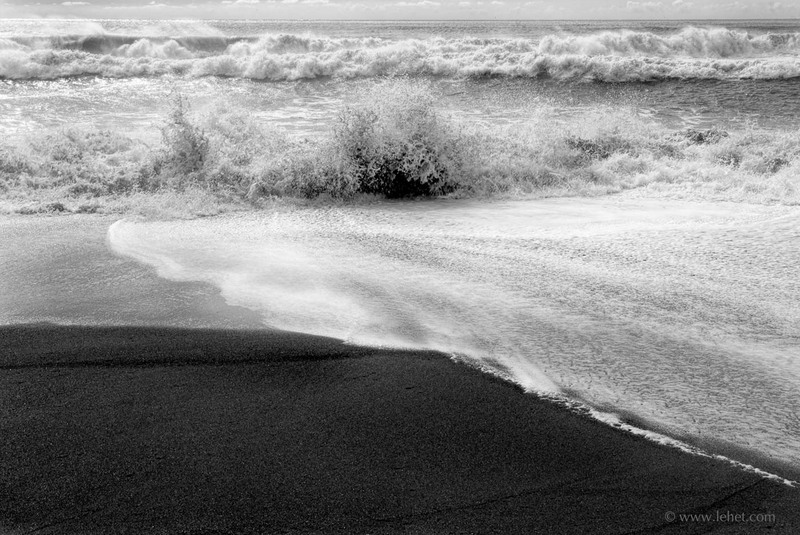 I had that Voigtlander lens on my camera as I was walking slowly along the beach at sunset in about the third or fourth day of having pneumonia, and I sure was moving slowly. I had walked longer and been out longer than maybe I should have. So walking slowly, I saw this, and I had just the right lens on my camera for the situation. I’ve been quite busy using and testing some of these vintage and character lenses in recent weeks, now fully recovered from that pneumonia. Working hard at photography. So on this day I had to drive to take a show of photographs down in Lyme, New Hampshire, where they were hanging in Stella’s Restaurant as part of an annex show for Long River Studio Gallery. I had my cameras with my, and Lyme was a place I used to photograph a lot, so I left early, driving slowly, with some extra time. It turned out I didn’t make it to Lyme to photograph before my schedule time for the show de-hanging. I stopped along the road in Vermont in my own town. 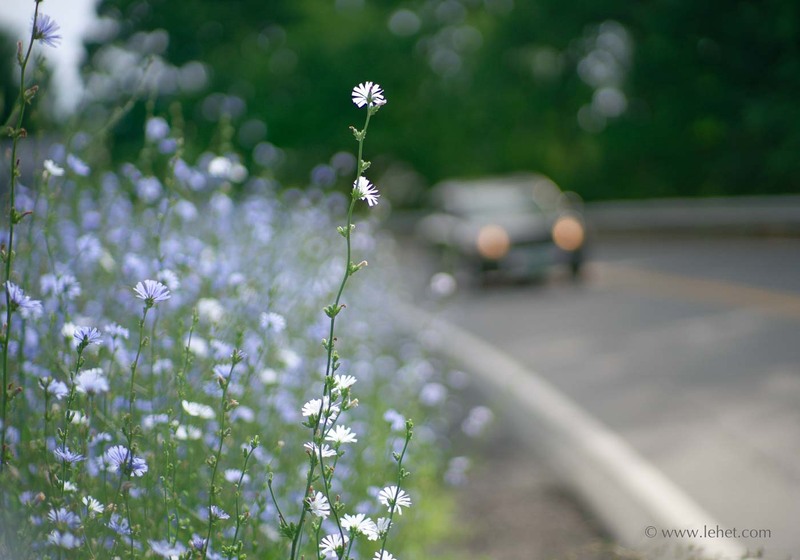 I passed this patch of blue chicory flowers along the roadside and I stopped there to work with it. I tried a few lenses, starting out with a modern Zeiss, but then I put on an old 80s lens, which was the lens that the late Jane Bown favored for her portraits. It’s pretty good, but a little soft wide open, and it has great bokeh. Often, to get these old lenses I’ll go through a series of apertures, starting with wide open. This allows me to get to know the lens. For this image, I was right by the road, and I had just reset the aperture to wide-open, hence the shallow depth of field and crazy bokeh balls. Standing there with the lens set like that, I heard a car approaching, thought, “what the heck,” and raised the camera, quickly (manually) focusing on the foreground flower. As the car approached I tripped the shutter. It worked. It’s funny, both of these lenses would certainly be rejected by anyone purely looking at lens tests, looking for optical perfection by modern standards. And I myself would have been that one rejecting them about a year or less ago. But something about this spring and summer is loosening up, a bit of wildness is creeping in, and here we are. 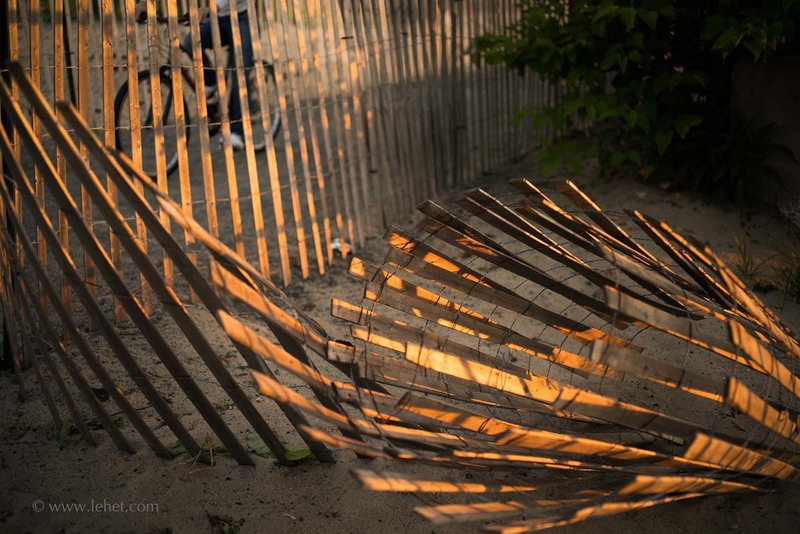 This entry was posted in Beach, summer, travels, Vermont and tagged Beach, bokeh, lenses, summer, Vermont on July 14, 2016 by john lehet. This is a black sand, volcanic beach near the currently active volcano in Iceland — though this year, 2007, the volcano was nothing like active, sleeping under the glacier. We spent the night before this image in a bed and breakfast to the north of the Eyjafjallajokull glacier. While we did spend some time with the glacier, most of the day was on a few beautiful black beaches with rough seas, and traveling south a bit, some stunning cliffs. This entry was posted in Beach, Iceland and tagged Beach, Iceland on May 14, 2010 by john lehet.